The public relations team responsible for spreading the word on the Chevrolet Volt is loving the added activity it's seeing these days. 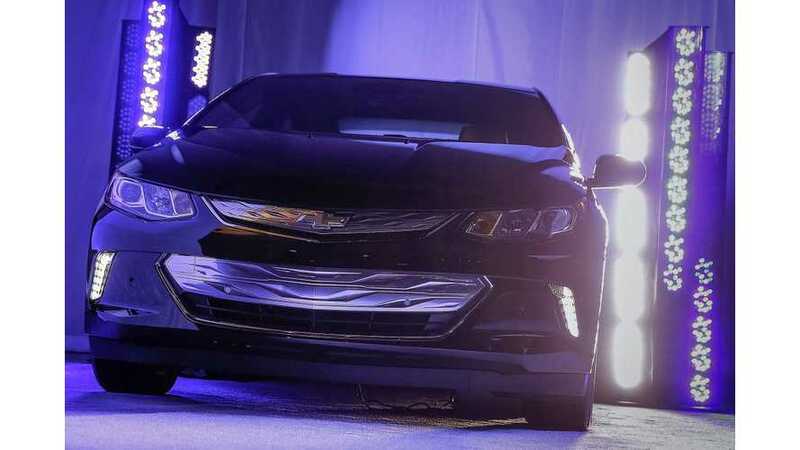 After yesterday's unveiling of the 2016 Chevy Volt at CES 2015, you'd think we wouldn't see the Volt again until its formal unveiling on January 12 at the 2015 NAIAS. Well, scratch that as here's yet one more image of the 2016 Volt revealed today from the event on the official Chevrolet Volt Facebook page. Perhaps they just didn't like how all the amateur photographers caught the car last night. "Get charged up! Just one more week until the Next Gen Volt takes North American International Auto Show by storm. But who's counting? (Okay, we are..)"